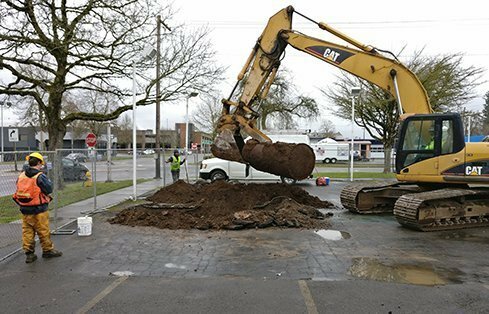 GeoEngineers is providing geotechnical engineering, seismic design and environmental consulting for the development of the new Salem Police Station in downtown Salem. The project site had a long history of residential and commercial use, increasing the chance of finding environmental contamination or other underground issues. Most recently, two car dealerships operated on the site. During the investigation, GeoEngineers discovered and then oversaw the extraction of two undocumented underground storage tanks (USTs). GeoEngineers planned and oversaw a drilling program including seven drilled borings, two cone penetration tests (CPTs), two infiltration tests and two Direct Cone Penetrometer (DCP) tests. GeoEngineers’ geotechnical evaluation included recommendations and guidelines for fill placement and compaction. Providing geotechnical and environmental support for an important city development project. 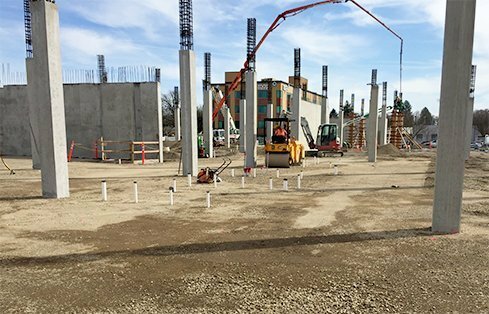 The City of Salem, Oregon is building a new 110,000-square-foot police department building. GeoEngineers is helping to make it happen. The new 3-story structure will house all the city’s police units and include an elevated parking deck for patrol cars. 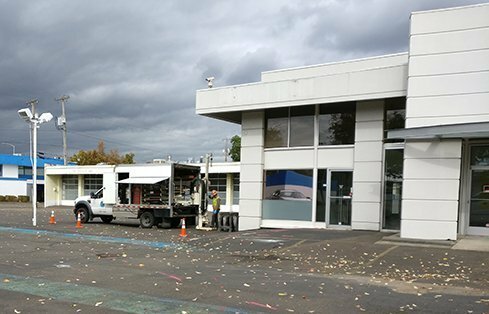 Located in the city center near the Willamette River, the project site was settled early in Oregon’s history and has seen many uses and changes, including a variety of residential and commercial buildings dating to before the turn of the century. Most recently, two car dealerships operated on the site. The long history of activity on the site increased the chance of finding archaeological and cultural items, as well as environmental contamination and other underground issues. GeoEngineers provided both geotechnical and environmental services for the project. Environmental professionals evaluated the site and helped the client identify and remove contaminated materials before construction could begin. Our geotechnical team also carefully investigated the soil properties of the site in coordination with cultural resources experts, and gave guidance on foundation support, retaining walls, earthworks, groundwater infiltration and more. 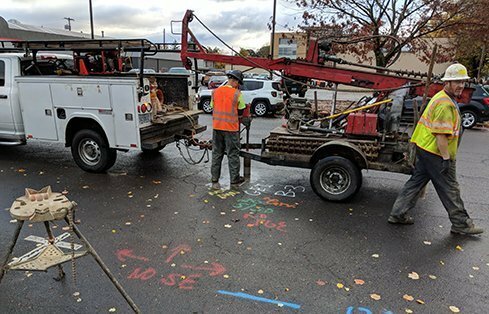 To identify obstructions that might be present during site improvement work, the team also conducted a ground penetrating radar (GPR) study for the city. GeoEngineers’ work began with detailed environmental site assessments (ESAs). Over the course of a Phase I and Phase II ESA, the environmental team identified a number of potential environmental concerns including in-ground hoists, two undocumented underground storage tanks (USTs), a disused pump station, visible petroleum staining, and a variety of potentially dangerous equipment and construction materials (asbestos-containing materials, lead-based paint, polychlorinated biphenyl lights and thermostats containing mercury.) The top 19 feet of soil contained volatile organic compounds (VOCs) and polycyclic aromatic hydrocarbons (PAHs) from gasoline, diesel and oil. GeoEngineers developed a containment media management plan (CMMP) with detailed guidelines on how contractors should handle potentially contaminated soil and groundwater. The plan also included recommendations for permitted disposal of investigation-derived waste. The environmental team also completed a hazardous building materials survey for the existing buildings before demolition. It included an asbestos survey (compliant with AHERA and EPA guidelines), paint sampling (for lead paint), caulk sampling (for PCBs), noting lights including PCBs and thermostats with mercury. The team planned and oversaw a drilling program to gather soil and groundwater data in careful coordination with cultural resource experts. Drilling subcontractors completed seven drilled borings, two cone penetration tests (CPTs), two infiltration tests and two Direct Cone Penetrometer (DCP) tests. Samples were classified by GeoEngineers in accredited in-house labs. To identify subsurface debris, archaeological/cultural items and other potential hazards, the team performed a ground penetrating radar survey. This investigation identified large pieces of concrete and other potential obstructions for the rammed aggregate piers that were planned as part of site ground improvements. Subsurface explorations revealed the soil to be a mix of stiff native silts, dense gravels or structural fill, which meant the station could be safely built to critical facility seismic standards on less expensive shallow foundations. GeoEngineers’ completed geotechnical evaluation also included recommendations and guidelines for the stormwater infiltration system, earthwork construction, fill placement/compaction, drainage, short retaining walls, pavement and subgrade, seismic design parameters and constraints for wet-weather construction. During construction, GeoEngineers’ staff monitored the work to verify that it was completed according to recommended guidelines, and to help monitor for archaeological/cultural items. GeoEngineers’ environmental and geotechnical professionals investigated and evaluated potential subsurface complexities and historical contamination of this century-old site. 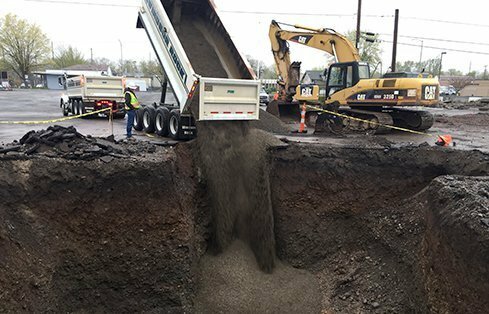 Our engineering recommendations and environmental guidance helped the City of Salem safely and efficiently prepare the site for development. The new Salem Police Station will be a valuable cornerstone of the community for decades to come.